Justin Verlander spent 12-plus seasons with the Detroit Tigers before the team traded him to the Houston Astros in 2017. The timing was fortuitous for both sides. 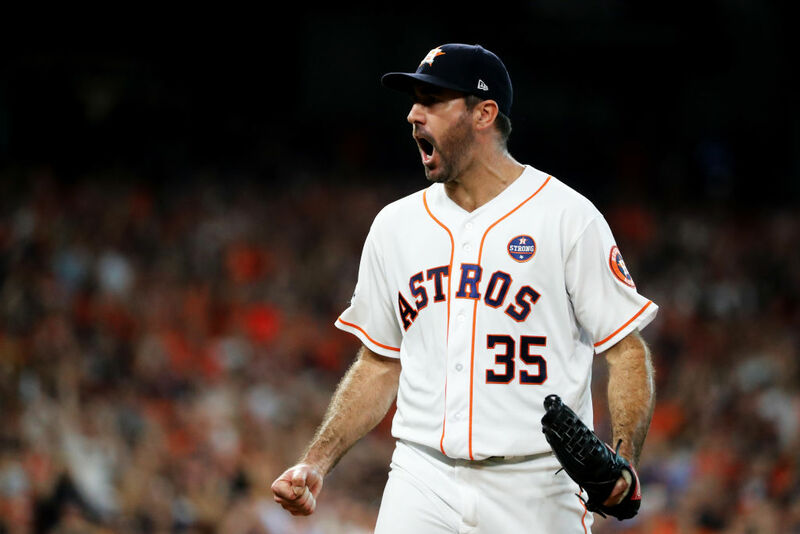 Verlander pitched very well, losing just one game in 11 appearances, and the Astros won the first World Series in franchise history. It was also Verlander's first championship ring. Clearly, there's some chemistry between the two parties, and the Astros are rewarding Verlander accordingly. The team announced it has agreed to a two-year, $66 million deal with the 36-year-old pitcher. This deal has no deferred money, which means it's the highest average annual value (AAV) contract in MLB history. Verlander's AAV is worth just a bit more than Zack Greinke's deal with the Arizona Diamondbacks. Per Jon Heyman, Greinke's AAV is worth $32.5 million since some of the money is deferred in his six-year, $206.5 million deal. In 248 innings in Houston, Verlander has struck out nearly eight batters for every walk he's surrendered. He made the AL All-Star team in 2018 and doesn't appear to be slowing down anytime soon. He'll look to lead the Astros back to the World Series after an exit in the ALDS last season. Verlander is also the latest example of a star player choosing to re-sign with their current team. Pitchers, in particular, have been hesitant to test the free agent waters, as there just hasn't been a lot of big contracts for players on the open market. While guys like Bryce Harper and Manny Machado changed organizations, those deals took a long time to get worked out. It could be an indication of a looming labor stoppage, as players will likely want to rework the league's collective bargaining agreement. More players are opting for the security of their current teams. And for stars like Verlander, that's leading to some very comfortable paydays. As crazy as it may sound the story is actually true. Detroit Tigers pitcher Justin Verlander promised a high school buddy a percentage of his future signing bonus in exchange for some chocolate milk. And he kept his word!